First time in Vacation Rental, 4 bedroom, 4 bath, home with 3,316 square feet of luxury, amazing new decor and furnishings designed just for your comfort. New everything. 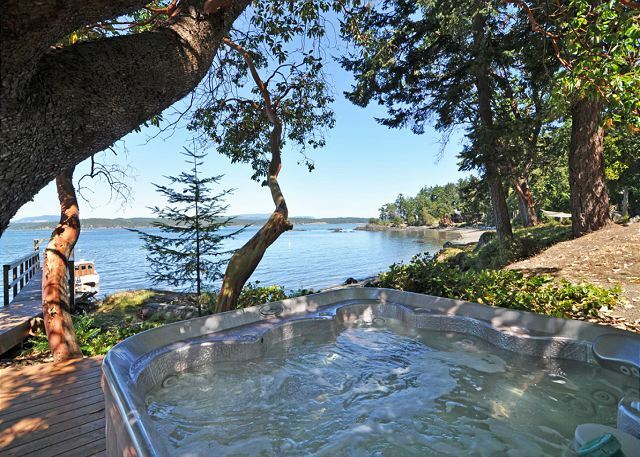 Seven person hot tub with panoramic ocean view. In 1913, this house was a craftsman bungalow in Victoria BC. 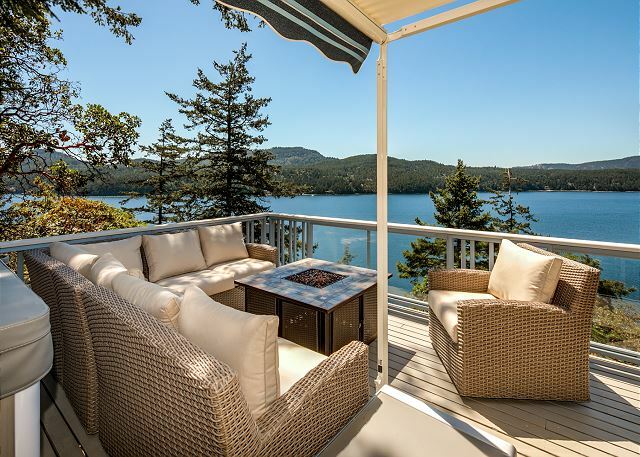 Today, it's a lovely waterfront home with a magical blend of original character & today's conveniences - beautifully furnished & near a sandy beach. This home is a guest favorite! 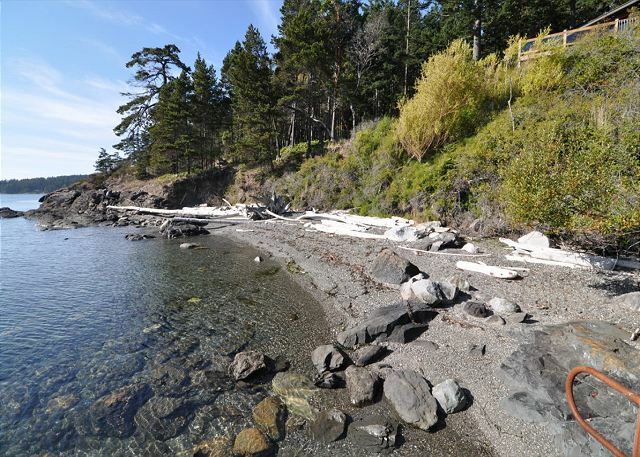 West facing for sunsets with an amazing view, it's located right over the Orca migratory route and next to the park, with beach and kayak launch. Gourmet kitchen, fireplace, and dog friendly too! 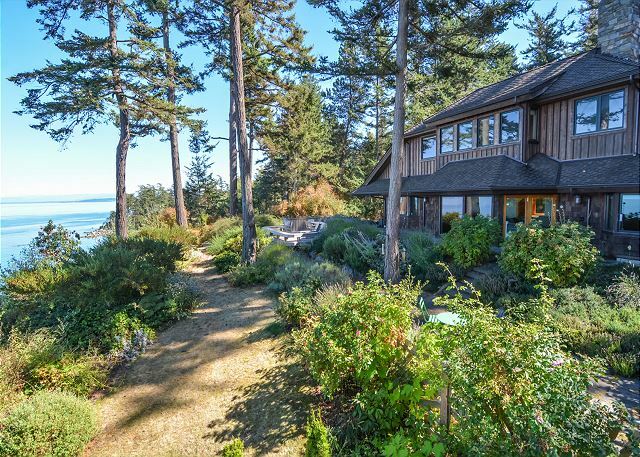 This attractive San Juan Island home has it all! 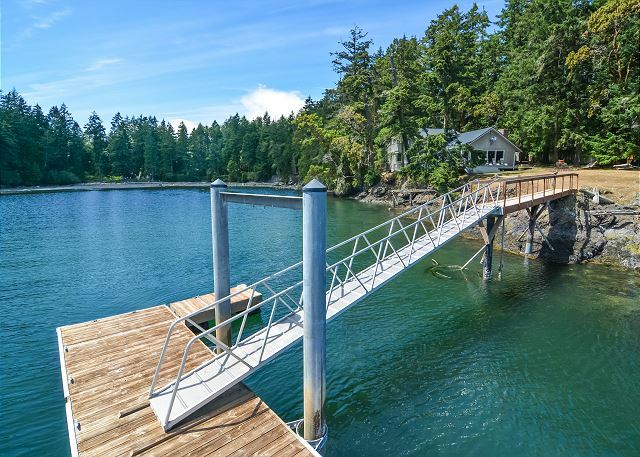 It's near Friday Harbor and was just completely remodeled with quality upgrades AND it offers rare low bank water frontage, active water views, hot tub, 40' dock and mooring buoy. Simply fantastic! A great place for couples and kids, this waterfront home has it all: coastline, private dock, and the ideal yard for lawn games. Close to Deer Harbor, the large kitchen, fireplace, and pool table round it out as the perfect island getaway. Three Private Waterfront Acres with Private Beach, Buoy, Hot Tub, Gardens, Ponds, & Classic Styling. 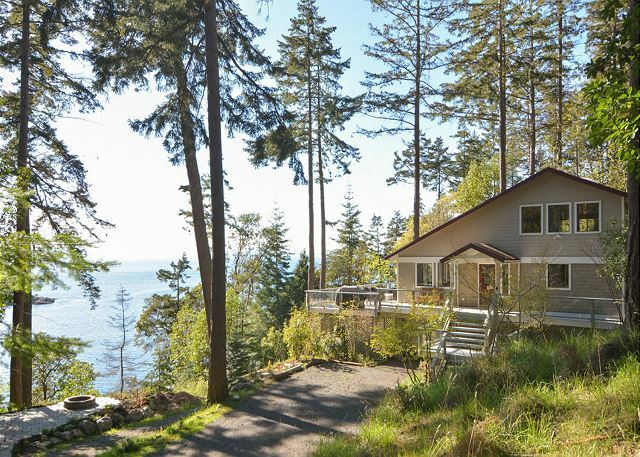 Across from Golf Course, Tennis, & Near Friday Harbor. One of the Best Island Locations, Great for Families, and for Vacation Rental in Summer! Waterfront, sunsets, 3 bedrooms, 3 en-suite baths, 4th sleeping area & 4th bath, hot tub, new & nice furnishing, plus near town. Everything that vacation guests are looking for!! 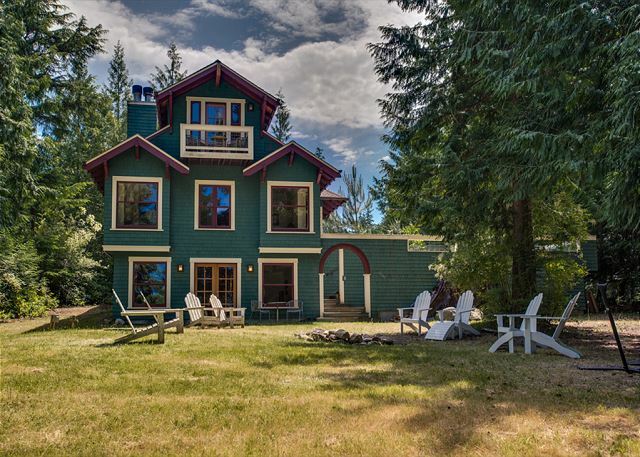 Seagull Nest is a luxurious Beach Style Home located just 2 miles from downtown Eastsound and best yet, a close distance to Crescent Beach, Cascade Lake, and Moran State Park. The vacation home you dream of! A spectacular waterfront setting, incredible private beach, sophisticated casual styling, all new furnishings. With 3 master suites + loft, it's perfect for multiple couples & family. Incomparable! 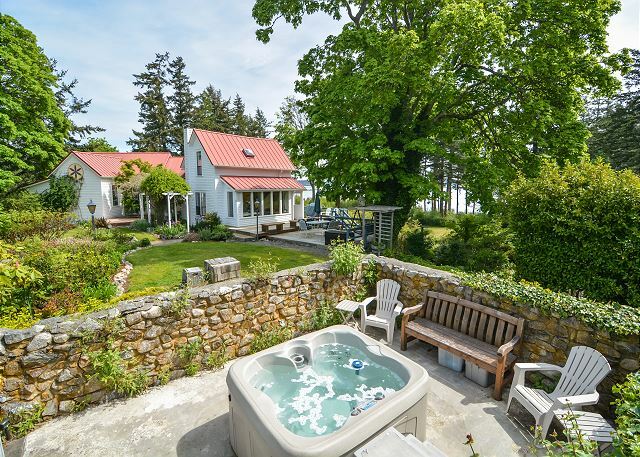 This spacious 4000 square foot residence is simply one of the best vacation homes on San Juan Island! 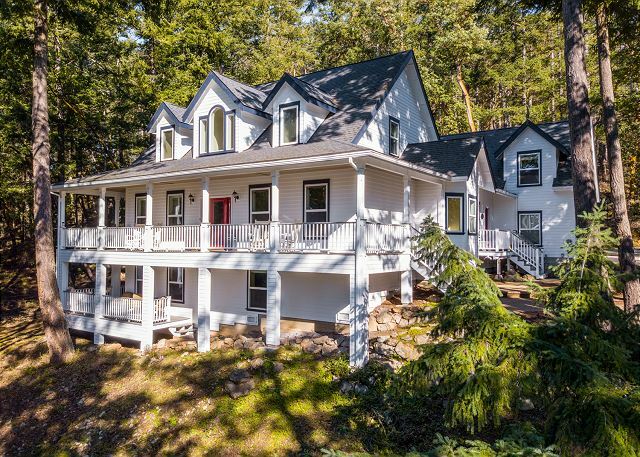 5 bedrooms, 3.5 baths, 400 feet of waterfront, a 32’ dock, and a prime location only five miles from Roche Harbor!